Dating outside your religious beliefs can be difficult. If you hold firm religious convictions, dating someone of a different religion can cause conflict, tension and stress for you, your partner and both your families. However, with an open mind and appreciation for other religious beliefs, it is possible to date someone of another religion. If your partner is Muslim and you are not, you can conduct yourself so that you, he and his family feels valued, respected and accepted. Dating a Muslim may present you with unfamiliar issues. Ask your date or partner about his Muslim faith, practices and values. Find out how is dating handled within his family, especially dating a non-Muslim. Learn your date's dedication to religion to get a sense of how your life would be in marriage. Hear the pros and cons of the Muslim religion and determine if you could embrace this religion yourself. Familiarize yourself with the Muslim religion outside of conversations with your partner. Read books and articles on dating a Muslim and discover the meanings behind Muslim traditions and rules. For example, in Muslim culture, sexual relations are taboo before marriage -- which is often arranged -- and families are included on dates. Expect resistance from your partner's community, family or friends. Some people will have a difficult time accepting a non-Muslim into their circle and family members may be adamant about not wanting the two of you to date. Talk to your partner about the stress this puts on her. Learn to accept that other people may be unhappy with your relationship and frankly discuss the consequences this will have. 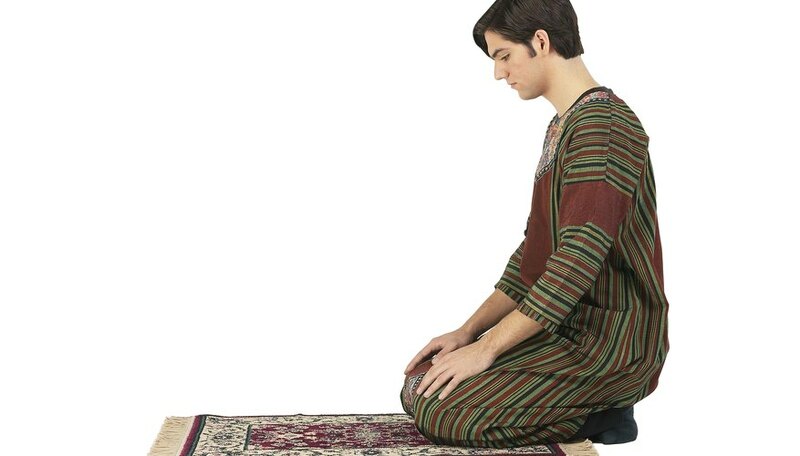 Show respect for his Muslim traditions, family, friends and community at all times, even if the same respect is not shown to you. Smile, show interest and be kind when in the presence of his people. Help others accept you by being loving and open in their presence. Your partner will appreciate your understanding and you will know that, other than not sharing the same religious beliefs, you have given the family no reason too shun you. In time, family members may change their minds. Speak to a professional who can help you navigate your feelings. Whether your own religious leader or a relationship therapist, reach out to others and talk about your challenges. This will help you understand your feelings, the Muslim family's values and the dynamic in your dating relationship. Speak to other people like you who have dated Muslims. Get their perspective and see if there is anything you can learn from their experiences. Avoid gossiping about your partner's family, friends and religion. Do not convert to the Muslim religion to make others happy. If it comes to this, decide on your own if the Muslim belief system will enrich your life. Finn, Lisa. "Dating a Muslim." Dating Tips - Match.com, https://datingtips.match.com/dating-muslim-13197133.html. Accessed 19 April 2019.